We are getting ready to Race for Life! After our teachers triumphant win at the London Marathon last weekend, we are ready to join Cancer Research UK again in the Race for Life charity 5k run, jog or walk! Participant forms are available from the School Office – Deadline to sign up is Wednesday 12th May 2015! 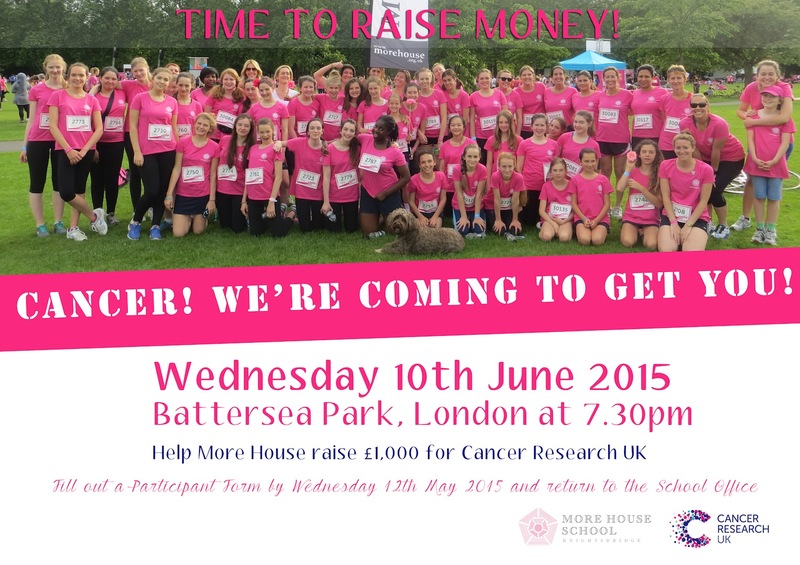 Join the More House family as we take on this great challenge! More House Unite … Cancer We Fight! ← London Marathon 2015: We did it!